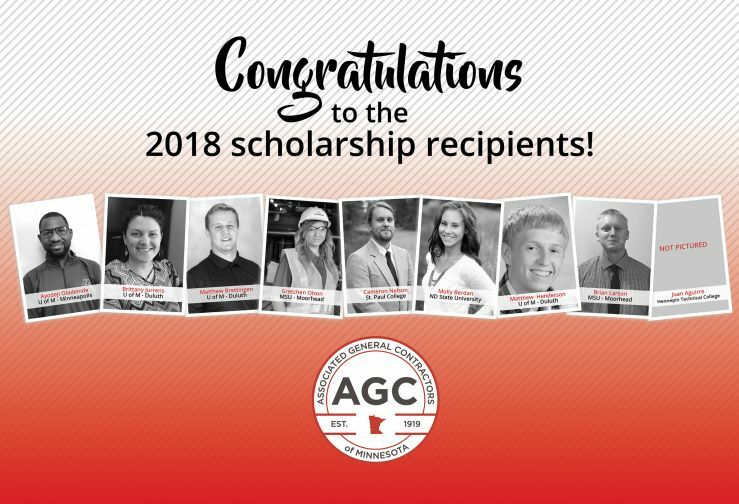 Applications are now being accepted for the 2019-2020 AGC Foundation Scholarships. Click here to download the application. Consider making the AGC of Minnesota Foundation part of your planned giving! By designating the Foundation as a preferred charity in your estate planning, you benefit the entire construction industry in Minnesota through the sponsorship of construction education. The construction industry is populated by a great many entrepreneurial stories where family-owned businesses have prospered into successful enterprises. Many of those success stories are rooted in personal dedication, sacrifice, education, and opportunity borne of collective activism and industry engagement. Giving back to those who have contributed to our success is too often an afterthought, when what is needed is foresighted planning. A “road map” showing where to go and how to engage. Thinking about end of life decisions to distribute assets where you prefer is not easy. To give direction for those thoughts and to identify a pathway for giving back to the industry, the AGC of Minnesota Board of Directors has approved a Legacy Giving designation. The Legacy Giving document allows people to designate the AGC of Minnesota Foundation as a beneficiary of various estate assets or other gifts and memorials, clarifying the specifics of where those gifts should be applied. The construction industry is often described as a big family of family-owned and operated businesses. Thank you for considering AGC of Minnesota's Legacy Giving option to pass your legacy to the next generation of industry leaders!